“Broken Man” Iuliu Maniu: Great liberal democrat, last honest man, spent his final years in a bleak Communist prison, froze to death and was thrown into an unmarked mass grave. 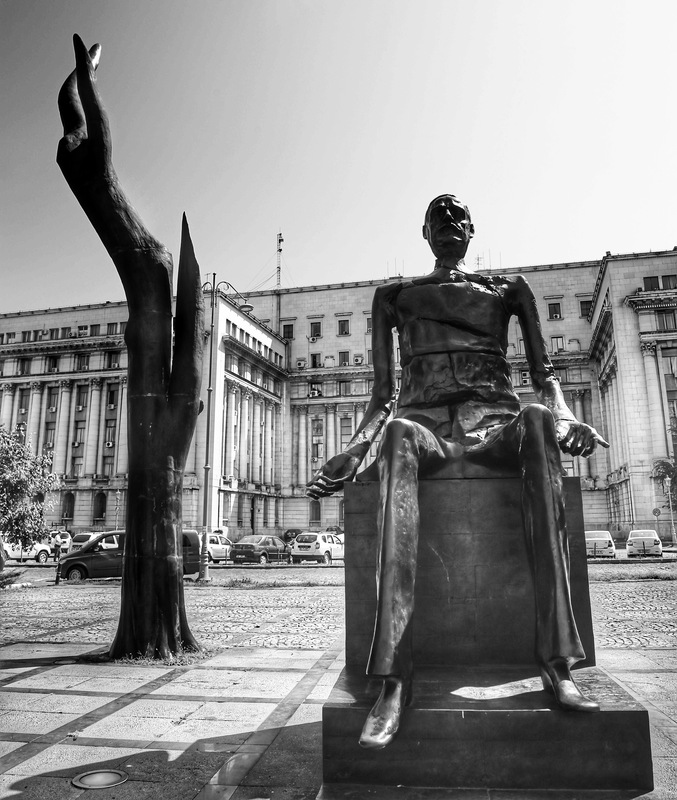 This is Revolution Square, where Romania’s Communist-era dictator, Nicolae Ceauşescu, was publicly overthrown in December 1989. 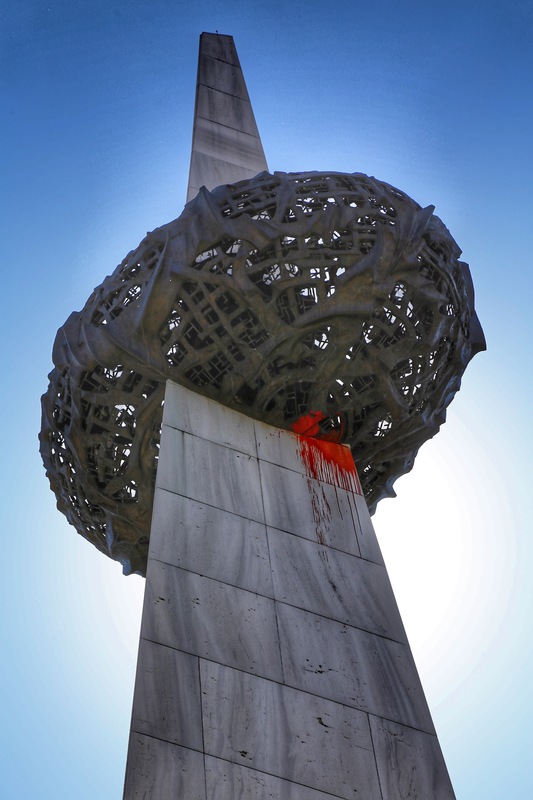 Below, is the controversial “Memorial of Rebirth, (Memorialul Renaşterii)” which is a monument in central Bucharest that commemorates the struggles and victims of the Romanian Revolution of 1989, which overthrew Communism. 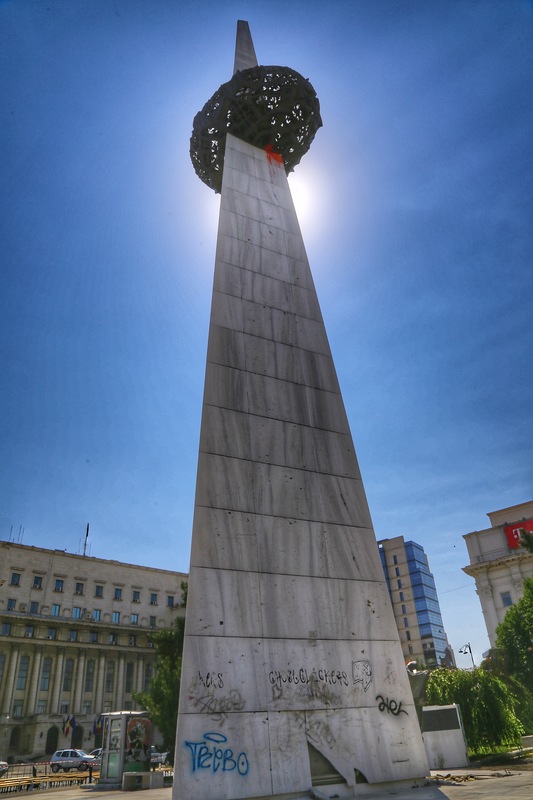 It was designed by Alexandru Ghilduş, and features a 25-metre-high marble pillar as it’s centerpiece and reaches up to the sky, and on top, a metal “crown” is encircling it. 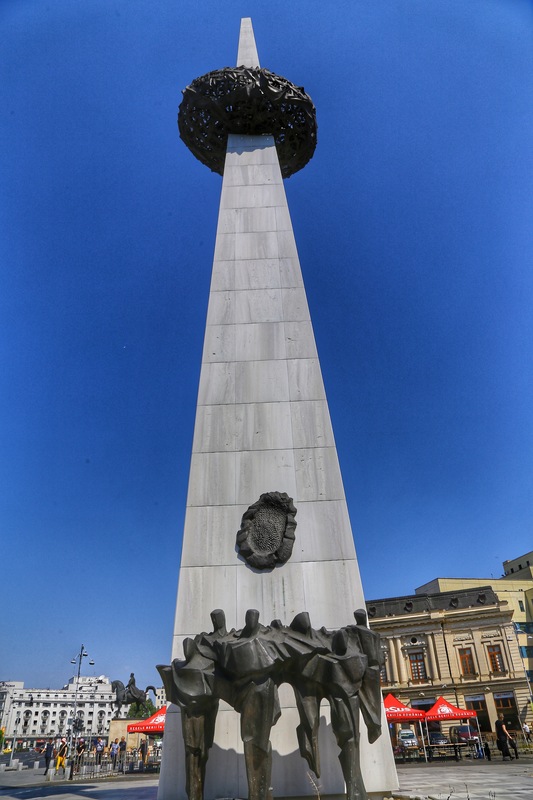 It’s original name was going to be “Eternal Glory to the Heroes and the Romanian Revolution of December 1989” (Glorie Eternă Eroilor şi Revoluţiei Române din Decembrie 1989). 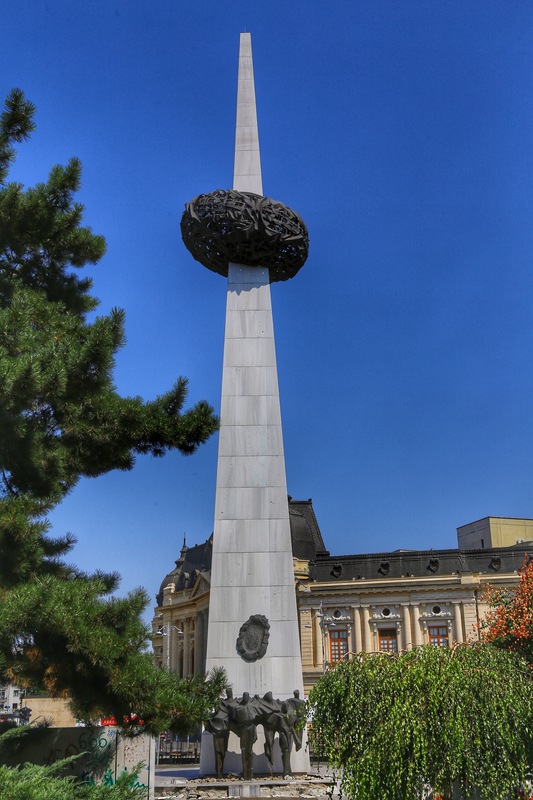 The name “Memorial of Rebirth” alludes to Romania’s rebirth as a nation after the collapse of Communism. 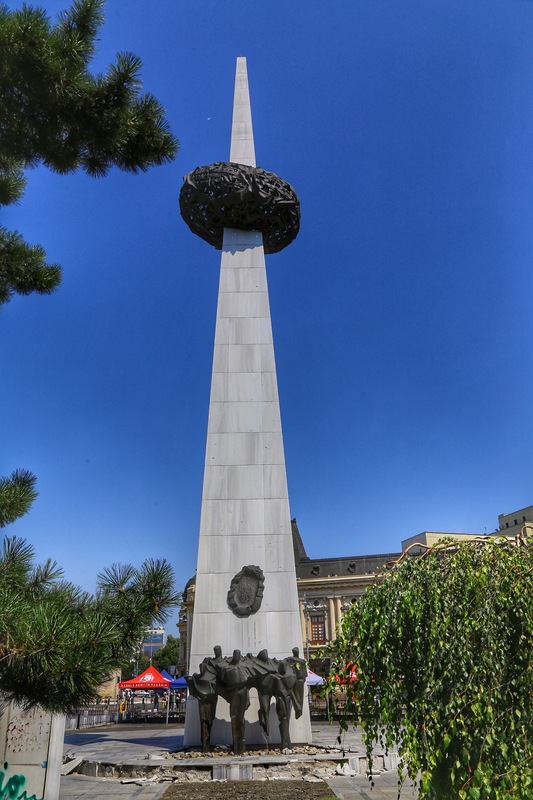 It’s an incredibly significant time in Romania’s history so it’s a shame that so many people seem to dislike the monument so passionately. 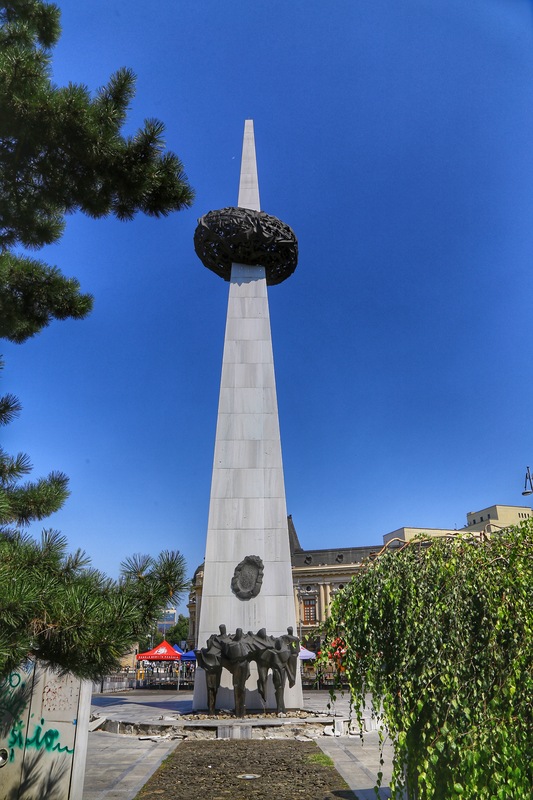 The Memorial of Rebirth has been described as “a potato skewered on a stake”, an “olive on a toothpick”, “the potato of the revolution” and “the vector with the crown”.